Jen Hatmaker is a blogger from way back who has a loyal following among parents and the Christian community. She gained increased fame when she and her family starred in HGTV’s “My Big Family Renovation” in 2015. Her blog is read by millions, and she is known for her relatable sarcasm and self-deprecating humor. Her post “Worst End of School Year Mom Ever” went viral a few years back and still makes the rounds on Facebook each spring. Her book “For the Love: Fighting for Grace in a World of Impossible Standards” was a best-seller. Her voice is one of comfort for the modern mom who feels the pressure to do it all, attain perfection, and measure up to the curated social media feeds she’s comparing herself to. She’s walked shoulder to shoulder with women, especially parents, through her blog and books, and her latest release is no exception. In her 12th book, Hatmaker fully embodies her role as Chief BFF, as she calls herself. 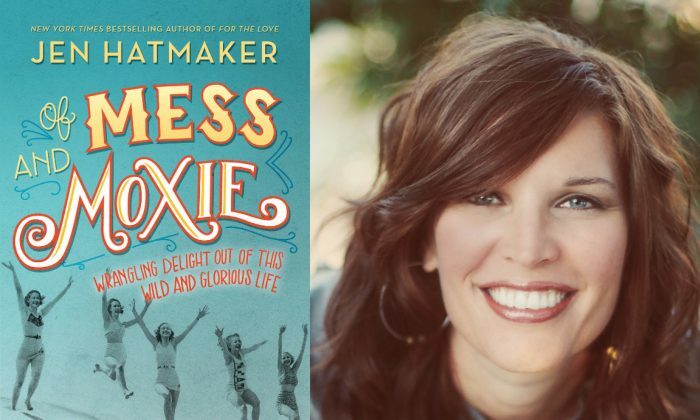 “Of Mess and Moxie: Wrangling Delight Out of This Wild and Glorious Life” sheds light on the fact that we all face mess (disappointment, struggle, suffering) in life and that women have a way of facing the mess and overcoming it with their inherent moxie. Light, entertaining, and reassuring, “Of Mess and Moxie” is like a leisurely coffee date with your best friend: an arm around your shoulder, a much needed reset, and a kind voice telling you that even though life can get crazy, you’ve got this, we’ve got this. Hatmaker lovingly defines just who she wrote this book for: women, likely (though not necessarily) Christian and in their early 20s, just launching into adulthood, or in the middle, juggling family and career responsibilities, or in the “afternoon” of their lives, perhaps grandmothering and making the most of their season of life. An easy read that’s perfect for the end of summer, “Of Mess and Moxie” doesn’t present any earth-shattering ideas or scientific discoveries, but it’s hilarious, fun, and clearly made with love.